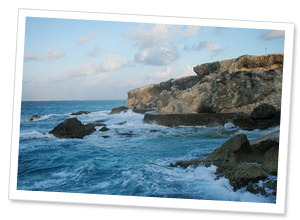 The property is a 2-minute walk to the Caribbean where you can see a glorious sunrise, and walk the long stretch of sandy/rocky beach looking for shells and sea glass. 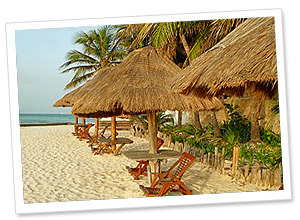 The house is a short golf cart ride to the popular North Beach, a swimming and sunbathing oasis. 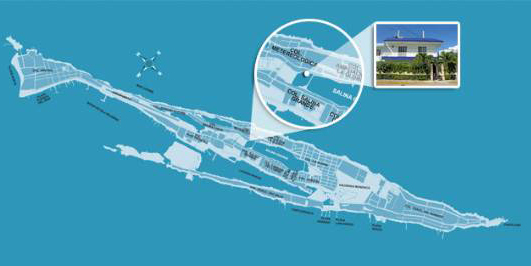 Bus service and taxis make any part of the island easily accessible. 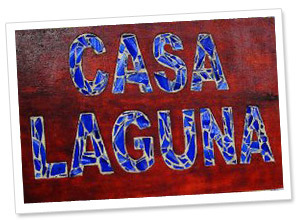 Casa Laguna is located near small family-owned shops, fruit and vegetable markets, restaurants including the famous ballpark taqueria, a bakery, internet centers, basketball court, soccer and baseball field, jogging track, and promenade around the lake where local families stroll at sunset.